Do you like to watch videos or monitor a certain webpage like Twitter while working? 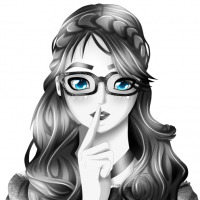 OnTopReplica lets you keep your favorite offline or online content on top of everything else. Notes: .NET Framework 2.0 or higher required (link provided below). Works only on Windows Vista and 7. 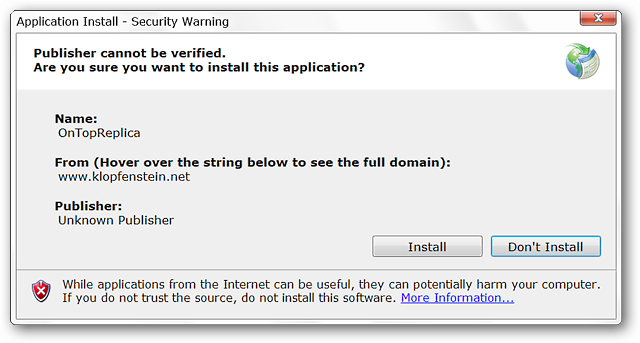 When you go to install OnTopReplica you may see a security window like this since the install file will download the necessary components from the web. 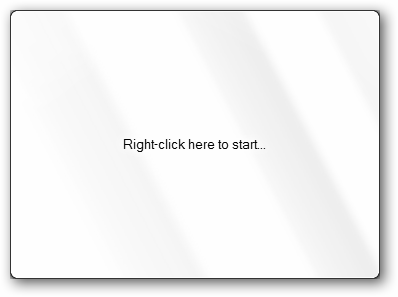 Click Install to proceed with the setup process. 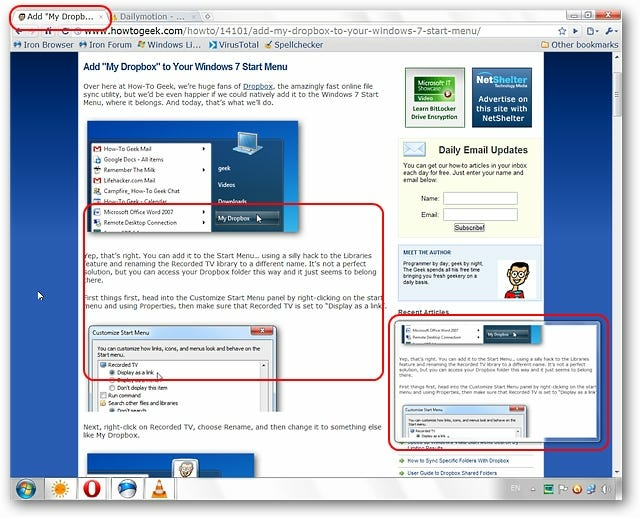 Note: You will need to have Aero enabled for DWM Thumbnails functionality. 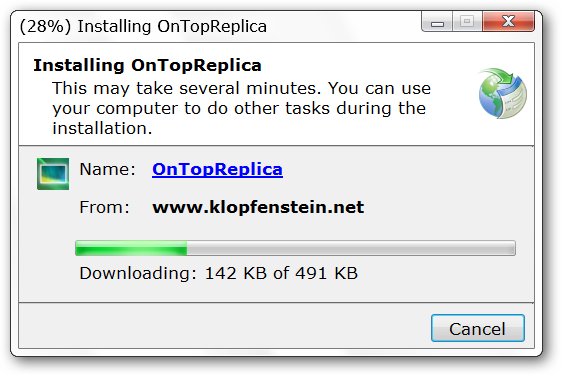 You will then see this window showing the download progress for the program components. Once the install process has finished the app will automatically start and appear in the upper left corner of your screen. At first it will be just an aero-enabled blank window as seen here. 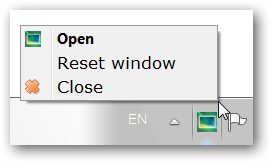 Right clicking anywhere within the window will provide access to OnTopReplica’s window selection and options setup. For those who are curious there is a system tray icon and a very small context menu. When you are ready to select an whole app/webpage or region go to the Select window entry in the context menu and choose from the available listings. 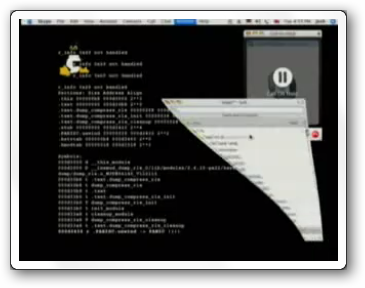 For our first example we chose the video playing in VLC Media Player. Notice that the entire window and controls are shown at the moment…if you want to focus on the video only click on the Select region command. The regular window shown above will disappear and be replace by this while you are selecting a region. Use the crosshair cursor to outline the area you want to focus on. But do not click on the left mouse button until you have the desired area outlined…otherwise you will need to click on Reset and outline the area again. When you have finished selecting the area click the left mouse button and then click Done. No more player controls cluttering up the view. 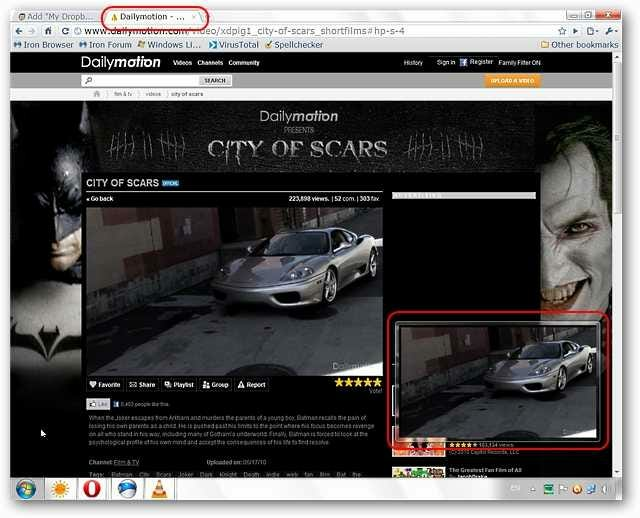 Now you can browse webpages while keeping those great videos right where you can see them. 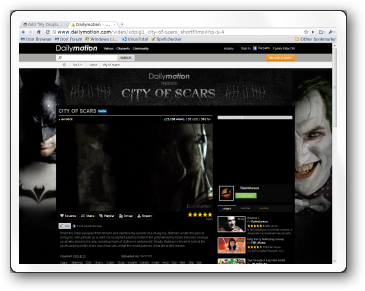 For our second example we decided to select a video from Daily Motion. 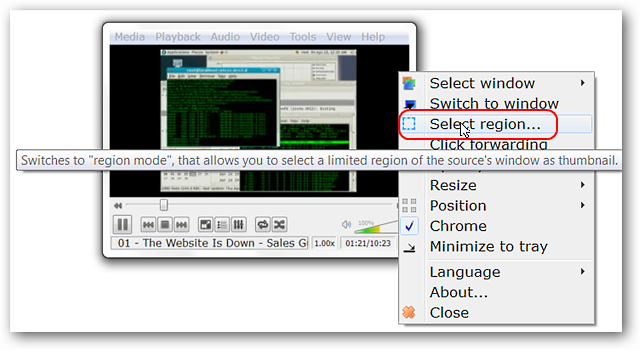 Selecting the webpage from the context menu we quickly focused on the video itself. We found only one drawback during our tests. If you are focusing on a particular webpage and will be doing more work with the same browser make certain to open a new window. Switching to other tabs in the same browser will focus on the same window location and the content in that area as seen here. 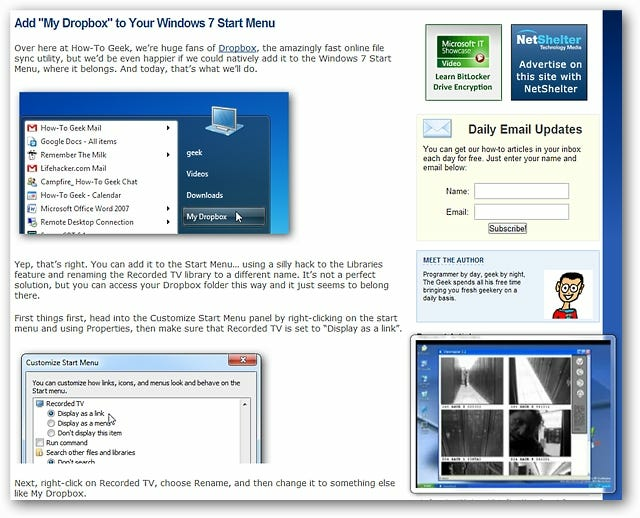 OnTopReplica provides an interesting way to keep your favorite content in view while you are working on your computer.